Testing includes a body composition assessment (7 site caliper test), Anaerobic Threshold Testing (Conconi Test) and Maximum Aerobic Power (MAP) testing. Testing is done on a Computrainer Lab Edition. 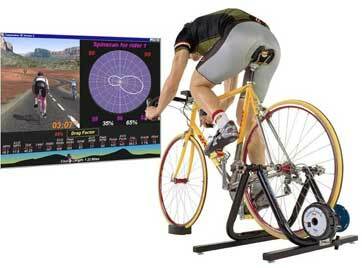 From these tests you will be given personalized heart rate and or power zones. These zones will be fully explained to you to optimize your training. You will also get your body fat percentage, estimated V02 Max and MAP power levels. Goals will be set for future testing for what type of improvement you	should see. To book an appointment email Chris and he will provide the contact info for Sandro Scarsellone from Potenza Cycle & Fitness to set up an appointment.